When you need landscape preparation, you need Dial A Digger. With Dial A Digger you not only get the right machinery for the job but you also get an expert operator who can do the job to the highest standard in the shortest amount of time. 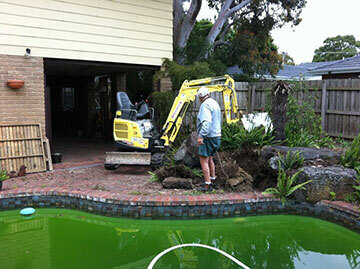 When you want your property perfectly prepared for a landscaping project, you want a Dial A Digger. We have the right machines, the right attachments, and the right operators to ensure that the job is done well every time. Do the job right the first time and hire our man and machine instead of hiring a machine to do it yourself. With Dial A Digger your project will take less time than attempting to prepare the landscape yourself and it's guaranteed to be completed to a high standard, sparing you the work and headaches that come with DIY landscaping. If you need additional materials to make your landscaping project a success, we can help source a wide variety of different landscaping materials for your project. From turf and sand to pine bark, topsoil and mulch, we have the contacts to supply it to you at the best possible price. 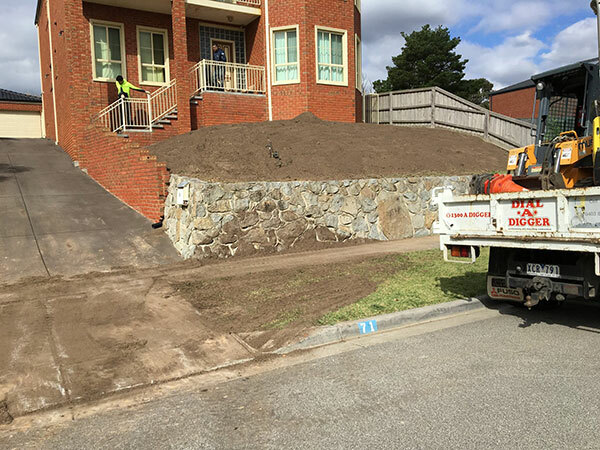 Site preparation for new installations such as retaining walls, paving sections or decks. Our team has decades of collective experience behind it. All our operators have been trained thoroughly and can offer advice on your project if needed. We’re have the skills and knowledge to bring your garden to life. If you are looking to start a large-scale landscaping project on your property, contact Dial A Digger now for your landscape preparation needs. We have the experience and contacts to handle any project in any location from the smallest of front yard to the largest plot of acreage. We service Adelaide, Melbourne and their surrounding areas such as Werribee, Dandenong, Seaford, Brighton, Tea Tree Gully and Munno Para. Get in touch today.